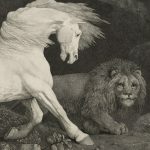 This picture has always been universally regarded as the definitive version, the best known and most powerful image in his treatment of the theme of a lion stalking a horse. 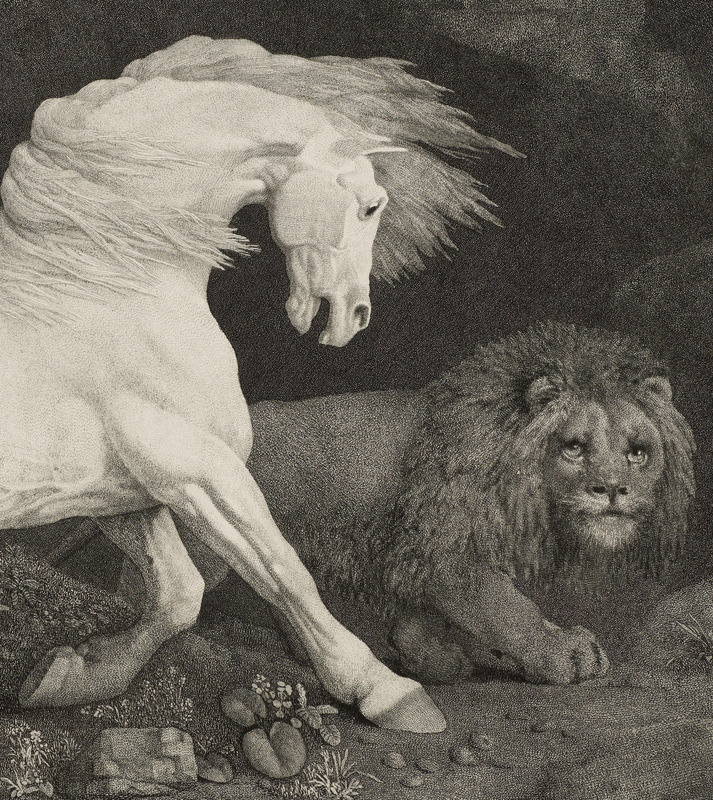 A highly powerful scene, reflecting the horror of the trapped horse being stalked by the predatory lion, it became one of Stubbs’s most important works and continues to be ranked as his most iconic image. 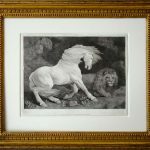 A considerable amount of George Stubbs’s time during the 1780s must have been spent in engraving twelve prints that were eventually published all together on May 1st 1788. Of these it was the subject of A Horse Affrighted by the Lion which was the most important. By his use of short agitated lines, intended to reflect the horror of the trapped horse, Stubbs displayed his mastering of the technical art of engraving thereby ensuring that this has always been one of his most important works! 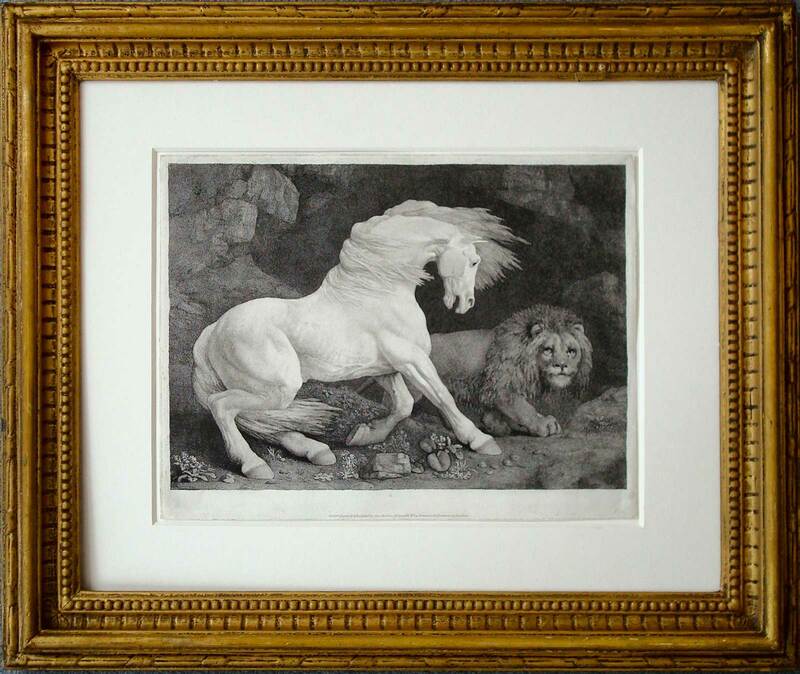 As Judy Egerton wrote in her catalogue raisonné of the artist, published in 2007: “that engraving alone might stand as a single expression of all the emotion underlying his various treatments of the theme of the lion and the horse”. Even more importantly, a contemporary remark of the time wrote that “whenever a painter has himself handled the graver, his prints are most generally impressed with the same character as his paintings; and are therefore likely to give us a very accurate idea of his style”. These could be considered as “painter’s etchings”, designed to be sold to a relatively small circle of connoisseurs who prized them because “an etching engraved by the master himself can be compared to a drawing, where the rapid flight of his thought is in some sort recorded, and where the subtlety of expression is entirely preserved”. They are commonly regarded as original to the hand of the master as if they were painted by him in oils. 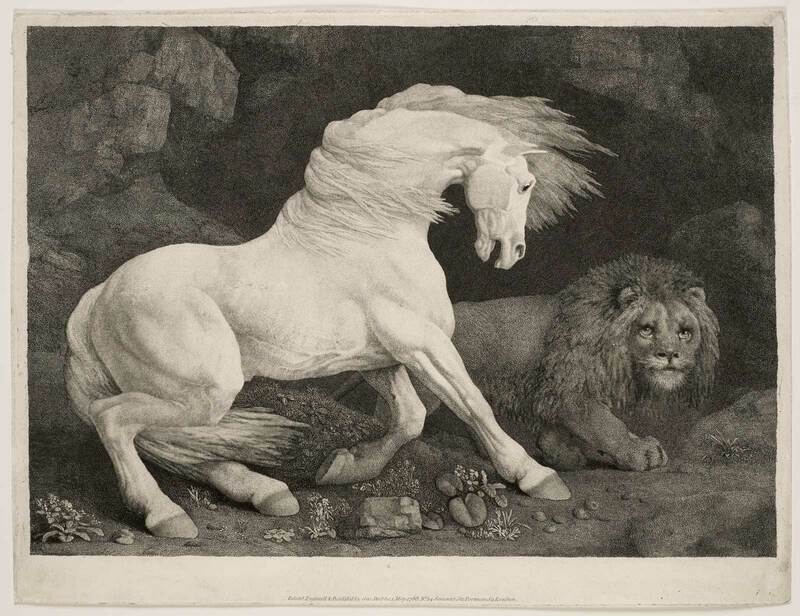 What makes the few engravings by Stubbs himself so rare and sought-after is the fact that he did not use engraving techniques which lent themselves to later retouching (and thus more impressions). This meant that far fewer finished prints than usual were produced! Professional engravers had already established his fame, and, as a painter with a successful practice, one is led to the conclusion that obtaining a grand profit from publishing was not the primary concern to Stubbs. By placing the position of the frightened horse in the centre of the composition, he was able to display his versatility in subject as well as his virtuosity as a printmaker. The emotional intensity was reinforced by reducing the subject matter almost entirely to the terrified grey horse. By the end of the 1780s many of his original patrons had passed away but he was still recognised as the foremost artist in his subject matter. Thus the publication of a new series of prints by himself can only be interpreted as an attempt to reinvigorate his public reputation. Some subjects were of proven popularity, but others were chosen to display his versatility, to reinforce his claims to be considered as a history and portrait painter, and to break away from the “horse-painter” stereotype label conferred by his earlier work. 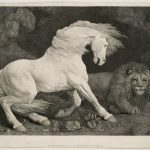 Moreover, the collection of engravings now published by Stubbs himself show just what a versatile artist he was; one capable of adapting his techniques used to suit each subject and occasion.